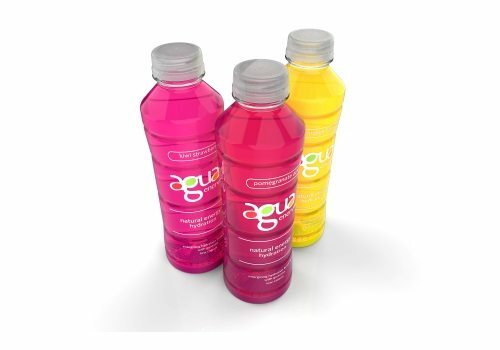 Agua Enerviva, a new concept in naturally-energizing beverages, has launched in lightweight, hot fill containers designed by ScorCreative at Amcor. Agua Enerviva combines the best aspects of sports drinks, enhanced waters and energy drinks, tied together with the flavor and vibrancy of traditional aguas frescas. “Energy water is the new category we are creating with Agua Enerviva,” said founder Carol Dollard. The beverage in the tall 20oz custom container contains 10 calories and three grams of sugar per eight oz serving. The energy water delivers potassium and sodium electrolytes for hydration replenishment, with no artificial flavors, colors, or preservatives. Each 20oz bottle of Agua Enerviva contains 100 ml of natural caffeine from guarana extract, which is believed to support weight loss, promote mental alertness and improve memory. Guarana is a climbing plant native to the Amazon, and is especially common in northern Brazil. It is best known for its fruit, the seeds of which are the source of guarana extract. The ScorCreative design team worked closely with the company to meet its branding requirements, providing a tall and sleek container with horizontal ribs which accepts an attractive shrink label. “We love the tall profile of the bottle and the easy and comfortable grip that it affords consumers,” said Dollard. With a compressed time-to-market of just six months, ScorCreative at Amcor provided several design renderings to finalize the shape and the placement of the label. It also supplied 10,000 containers for focus group and test marketing studies prior to production tooling, according to Michael Lane, principal engineer. Amcor employed its PowerFlex vacuum absorbing base technology which features a patented panel-less design that takes hot fill (185 deg F) bottle options to a new level. Amcor’s structural design eliminates the panels, and unlike competitive containers, provides the freedom to create various designs along the walls. Amcor uses design and manufacturing techniques to create a patented bottle that absorbs vacuum via a specially designed base. A diaphragm within the base draws upward as the liquid cools. It has the geometric characteristics to enable the inverted cone-shaped diaphragm to deflect upward as the vacuum is created. Agua Enerviva comes in Kiwi Strawberry, Tea and Lemonade, Pomegranate Acai, Orange Passion, and Fruit Punch flavors. It is currently sold at 920 Target stores throughout the Northeast and mid-Atlantic in the US. An expanded commercial roll-out through other national retail distribution chains is scheduled in early 2015.